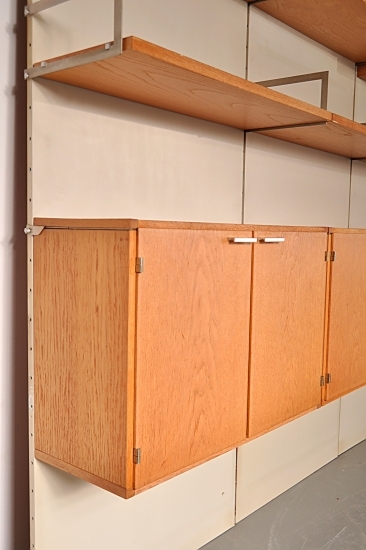 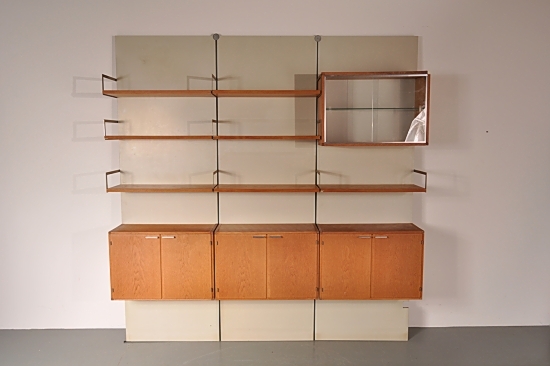 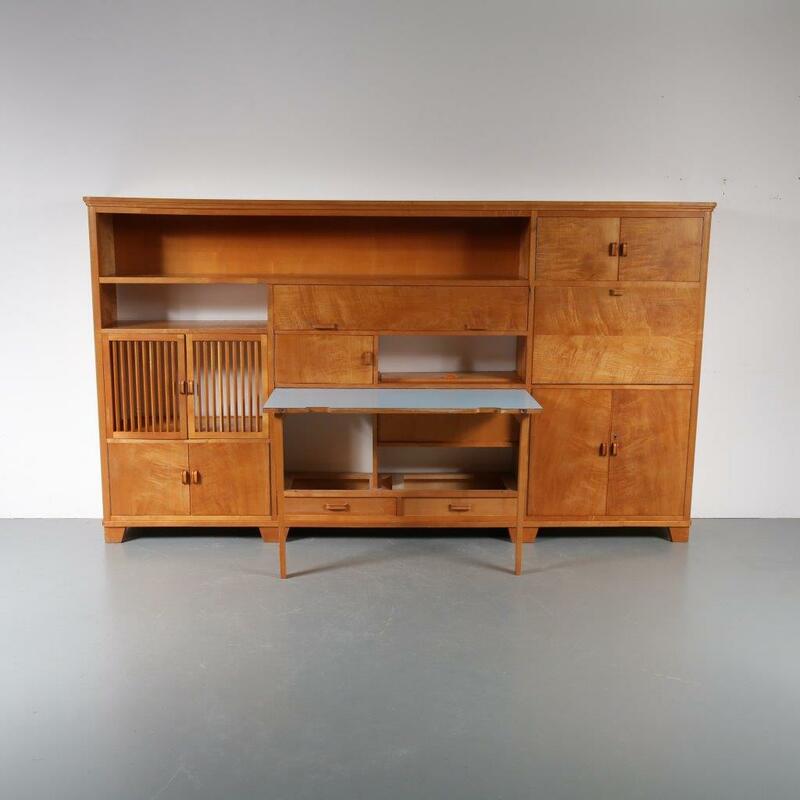 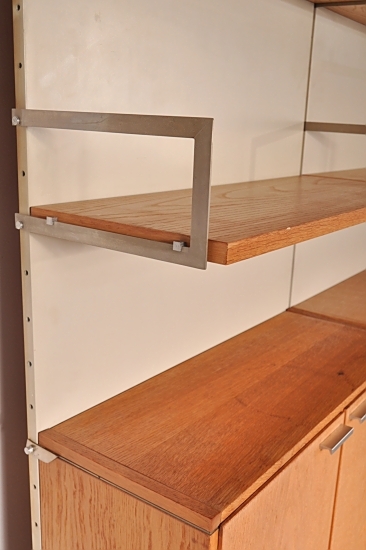 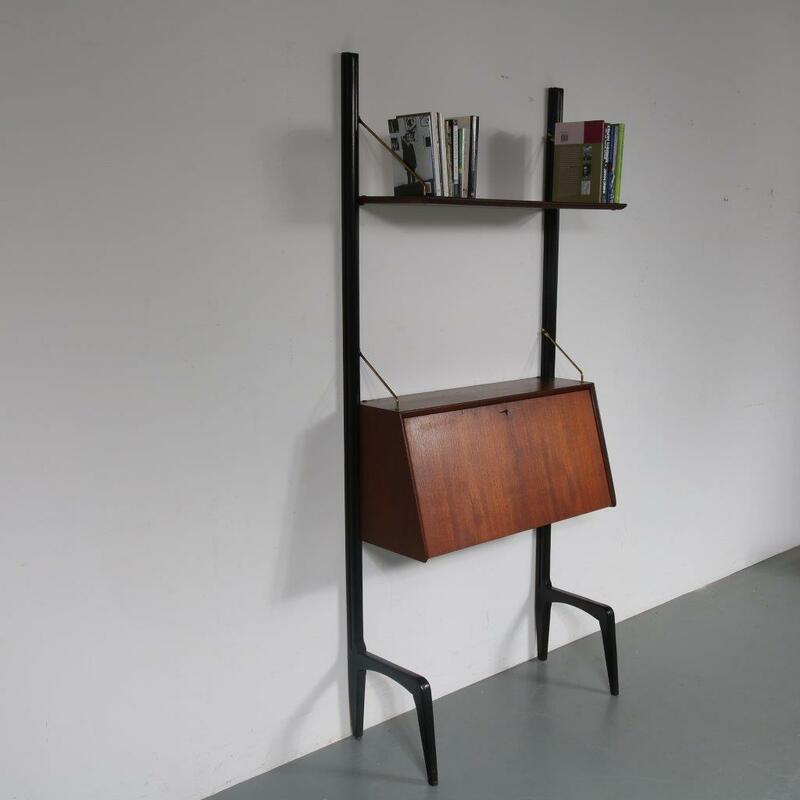 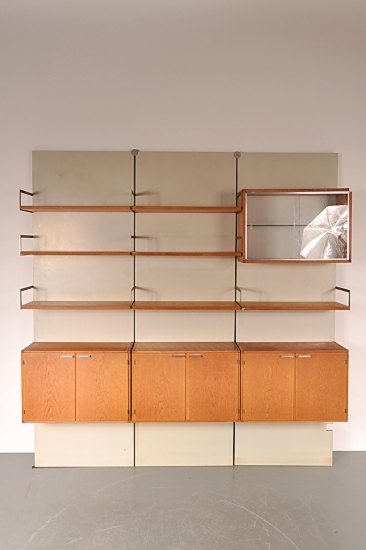 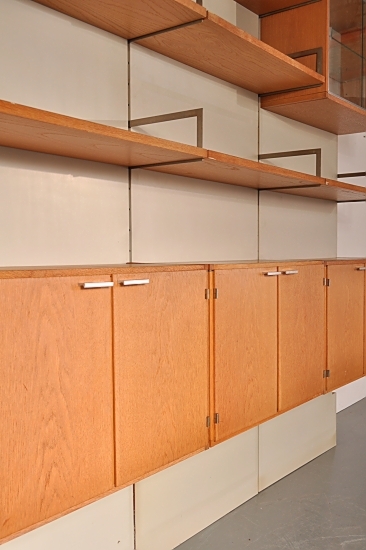 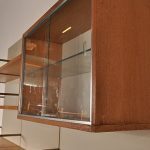 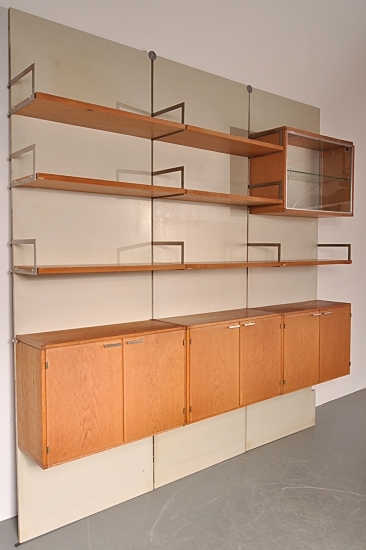 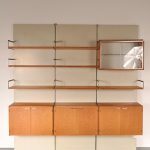 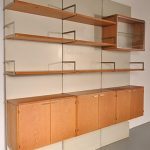 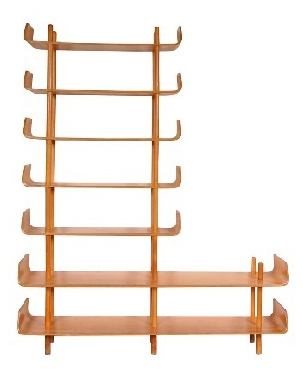 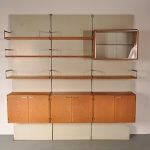 A very rare large wall mounted system cabinet from the very popular Japanese series by Braakman. 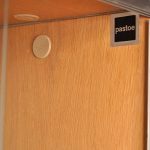 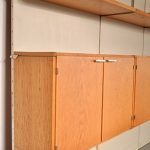 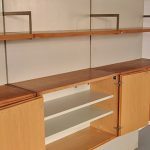 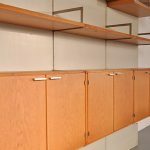 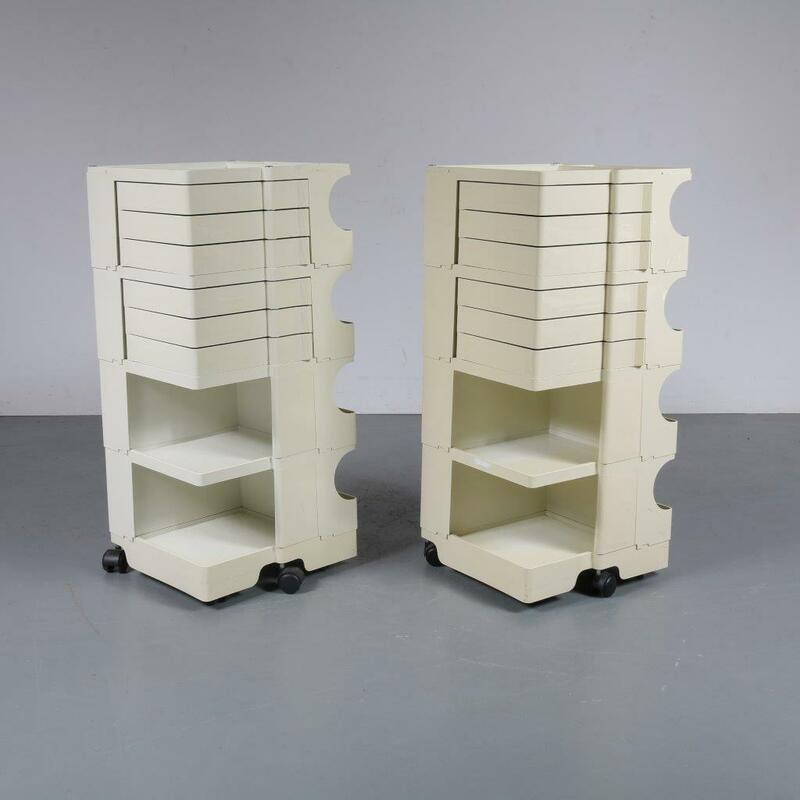 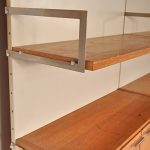 The cabinet contains white laminated wooden back panels that can be mounted to the wall and hold the structure that in turn holds the shelves and units. 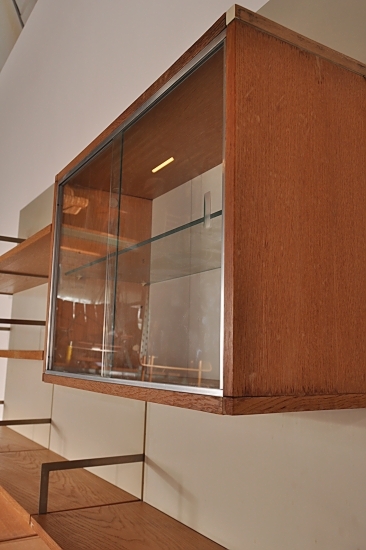 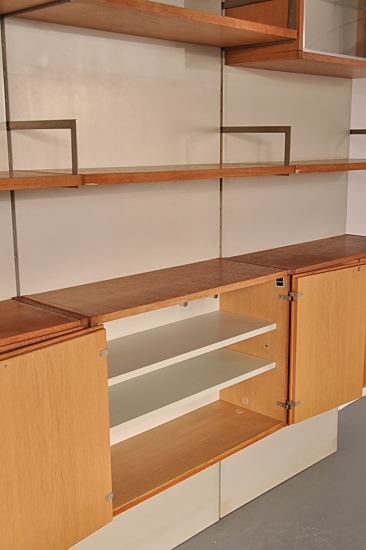 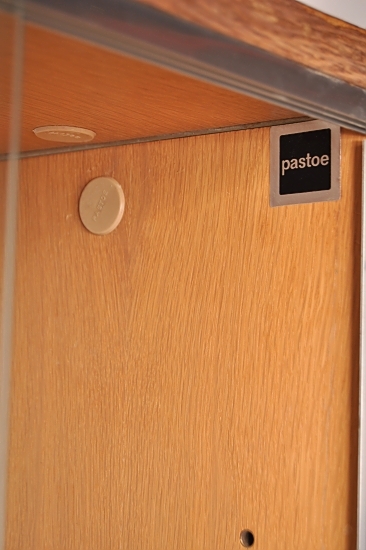 The cabinet contains several shelves, three drawer units and one showcase unit with glass doors. 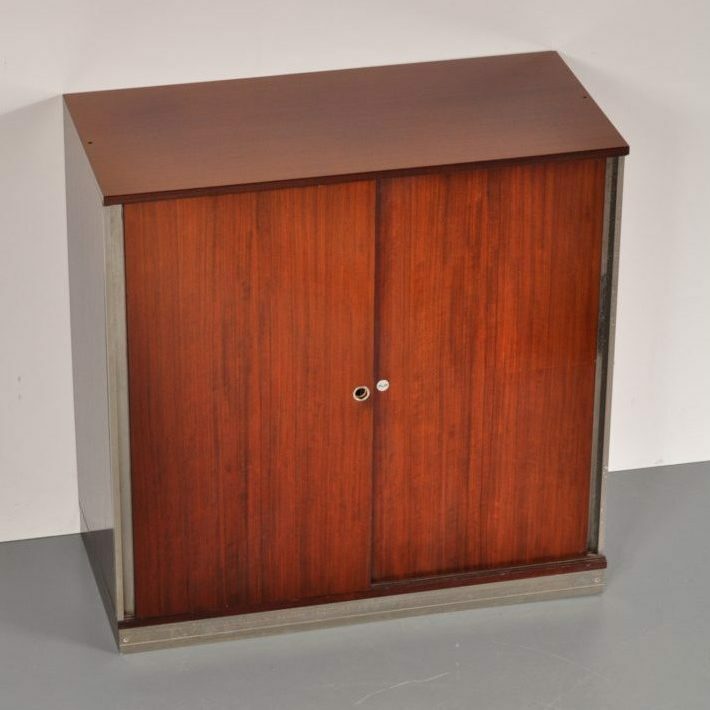 It is an absolutely outstanding piece that would make an amazing addition to any interior!